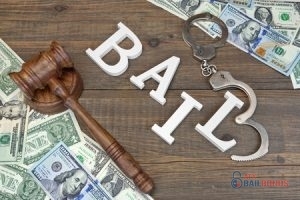 Contact ATX Bail Bonds today to receive help with your bail process. Getting arrested and being charged with a crime is never a comforting experience and the financial expenses only make it more stressful. Here are some reasons that it might cost you an arm and a leg. Bail fines are decided by your judge. Often times judges will comply to the standard process. For example, lots of judges will establish a bail amount of $500 for an insignificant misdemeanor. However, judges are able to raise and lower bail amounts depending on the situation and circumstances. They can even waive the bail or release someone on “own recognizance,” but yet again, it is case by case. The suggested bond is $500 – $2000 for a Class A1 offence, where the minimum punishment is 1-60 days. For a Class 1 offence, where the minimum punishment is 1-45 days, the proposed bond would be $100- $500. For a Class 3 offence, where the maximum punishment is 1-20 days, the proposal is a written commitment to appear with no fine. Class A Offence- Minimum punishment is life without Parole and the bond is set by a judge. Class B1 Offence- Minimum punishment is 144 months and the suggested bond is $200,000 – $500,000. Class B2 Offence- Minimum punishment is 94 months and the recommended bond is $200,000 – $500,000. Class C Offence- Minimum punishment is 44 months and the suggested secured bond is $50,000 – $150,000. Class D Offence- Minimum punishment is 38 months and the recommended secured bond is $50,000 – $150,000. Class E Offence- Minimum punishment is 15 months and the suggested bond amount is $25,000 – $50,000. Class F, G, H, I – Punishments range from 3 months to 59 months and suggested bonds are under $20,000. If you are in need of bail bonds services in Austin, TX contact ATX Bail Bonds today at 512-834-2245.